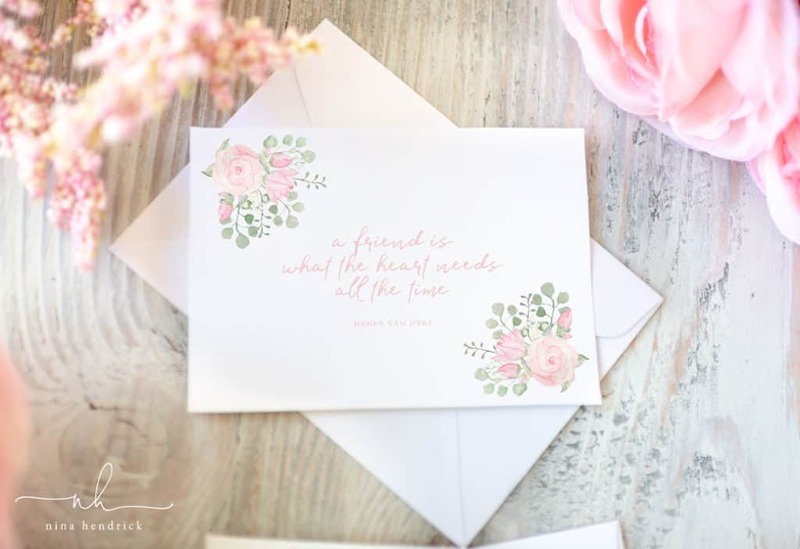 Send these free Watercolor Floral Printable Notecards to a friend on Valentine’s Day, or really any day of the year, to let them know you’re thinking of them! 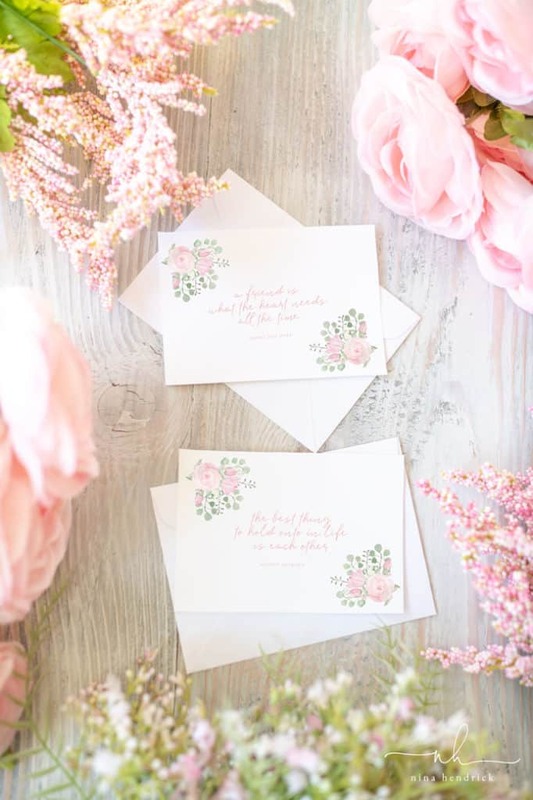 Although in the past I’ve shared a quick gift idea for Valentine’s Day and a Jane Austen decor print, somehow I’ve never shared actual notecards! Well, today we’ll fix that. I painted the watercolor florals by hand. Then I chose two of my favorite quotes to add to the center of the cards. Although, as I’m writing, it’s close to Valentine’s Day, these cards can really be sent at any time of the year. Valentines Day or Any Day! The are the perfect way to let a friend know that you’re thinking of them. Since they’re blank inside, there’s room for you to write a little note of your choosing. One of my personal goals for this year is to do more random acts of kindness. 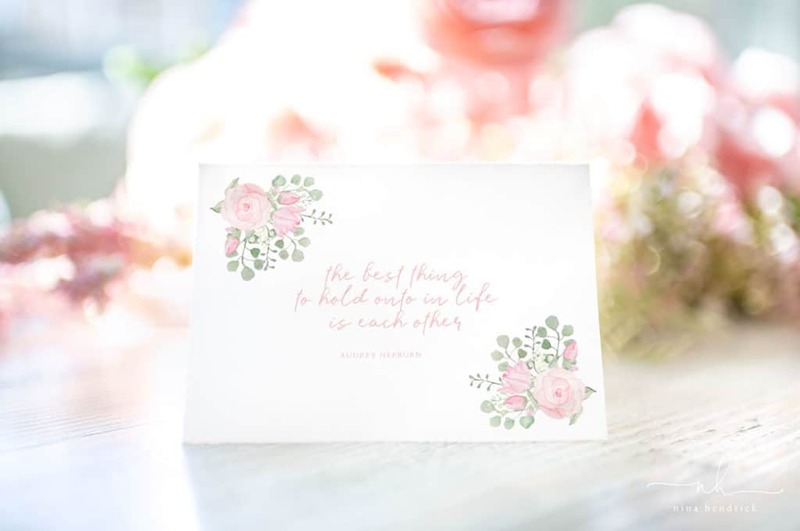 I think sending a few of these through snail mail to encourage and brighten someone’s day would be a perfect little surprise! They are the perfect size for A1 envelopes (these are a cute color). Just add a pretty stamp, and you’re good to go! 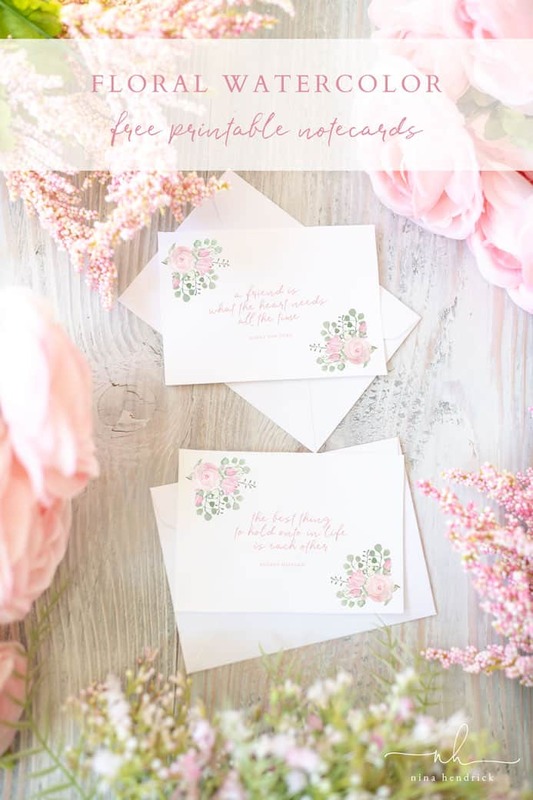 I hope you enjoy these watercolor floral printable notecards and that they help you bring a smile to someone else! 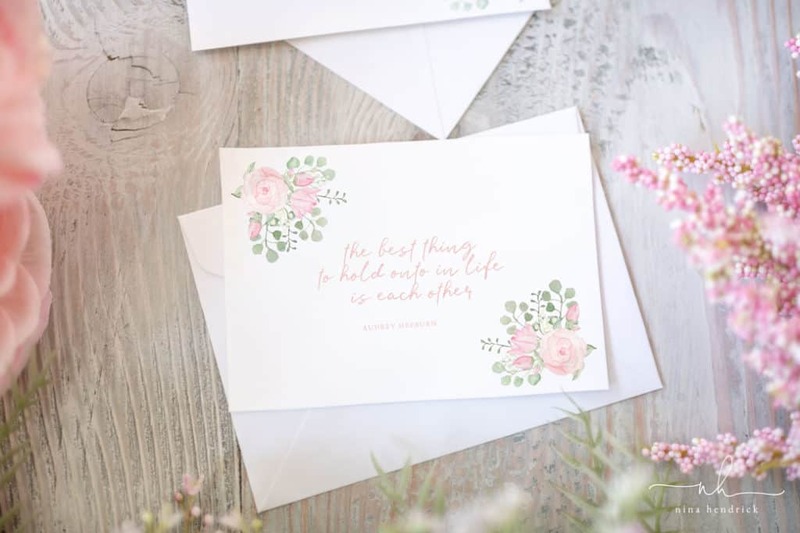 Enter your email address and click the button to have the Free Watercolor Floral Printable Notecards delivered straight to your inbox. You will also receive our weekly newsletter. Please Note: The print will be sent to your email address. Please check your spam folder if you don’t see it. Unfortunately, I cannot provide technical support for free printables, as all computers and settings vary. However, you can visit our support page for the answers to the most common printing issues. Thank you for understanding!